October 1, 2015 – Oakcliff Sailing will celebrate the non-profit’s five year anniversary on Thursday, October 29, with a celebratory fundraising event in downtown New York City. 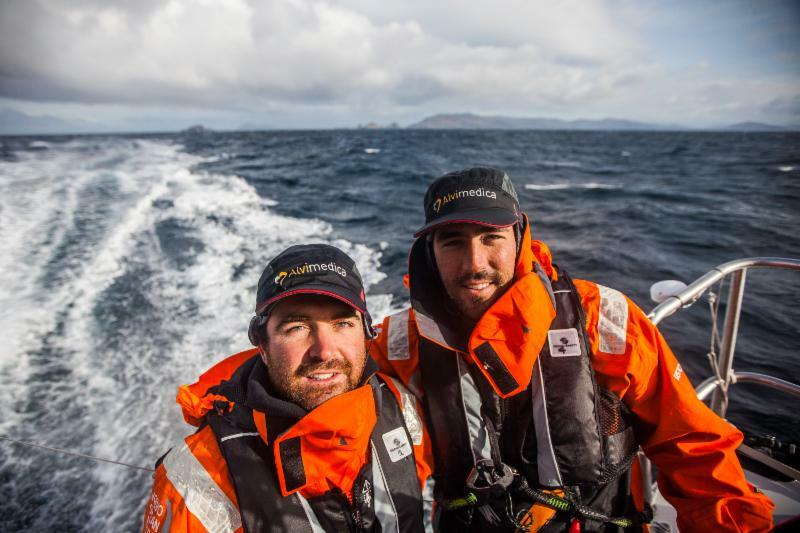 The event will feature special guests Charlie Enright and Mark Towill, graduates from the Oakcliff program who recently completed the nine month Volvo Ocean Race aboard Team Alvimedica. The fundraiser will provide an opportunity for supporters to meet and interact with Oakcliff graduates, staff, and board members amidst skyline views of Midtown Manhattan. The unique and convenient space, graciously provided by Adelhardt Construction, will allow guests to stop by to enjoy the open bar and chat with other party-goers. Additionally, the catered event will feature themed hors d’oeuvres, a lively dance floor, and a raffle with various prizes including a ride along in the 2016 Newport to Bermuda race. The Long Island based organization is seeking to raise funds to provide grants for sailors like Charlie and Mark in their pursuit of worldwide sailing campaigns. As a result of premiere coaching from industry experts and sailing superstars such as Dave Perry, Dee Smith and Ryan Breymaier, Oakcliff graduates are uniquely prepared to compete at the highest level of the sport. The immersive Acorn and Sapling programs are complete with on-site housing in Oakcliff’s recently renovated loft-style bunkhouse. “I never expected to be where I am today. Oakcliff has opened many doors for me,” says Sapling graduate Max Seebeck, who’s unique talents will be showcased as he leads the dance party at the event. Thanks to Moët & Chandon, guests will be greeted with champagne as Oakcliff celebrates new heights and raises the bar even higher for future events including the 2016 Rio Olympic Games. “We’re looking forward for this opportunity to celebrate with our supporters while also raising money to ensure Oakcliff’s continued success,” says Executive Director Dawn Riley. For more information and to purchase tickets to the event, visit oakcliffsailing.org and click on Celebrate New Heights at the top of the page. Oakcliff Sailing is a non-profit, high-performance training center for sailors who have progressed beyond traditional coaching methods. The center can be contacted by email atrace@oakcliffsailing.org or by calling (516) 802-0368.